Clouds will gradually increase Tuesday with rain developing during the late morning and lingering through the afternoon. Temperatures will briefly warm into the upper 40s and low 50s before temperatures tumble late in the day. Rain may briefly mix with or change to snow late in the afternoon but little or no accumulation is expected. Skies will clear quickly Tuesday evening which will allow temperatures to drop into the low 20s. Any roadways that remain wet may freeze with areas of black ice possible through Wednesday morning. In addition to the cold temperatures, gusty winds will create dangerous wind chills. Be sure to dress warm Wednesday morning and take care of any outdoor pets. 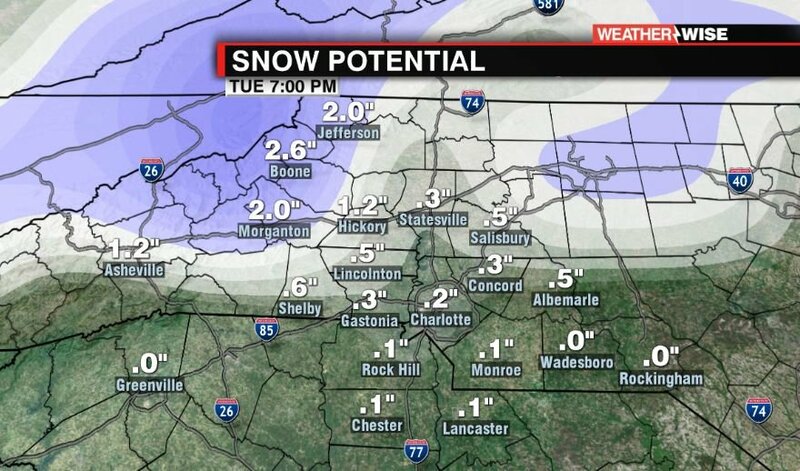 Snow will develop early Tuesday and continue through the afternoon. Most locations will see 1-3 inches of snow, the highest elevations may see a bit more. Temperatures will rapidly drop through the 30s and into the 20s as the day progresses. Strong gusty winds will make it feel even colder. Snow will quickly come to an end late in the day and the big story will transiton to dangerously cold temperatures. 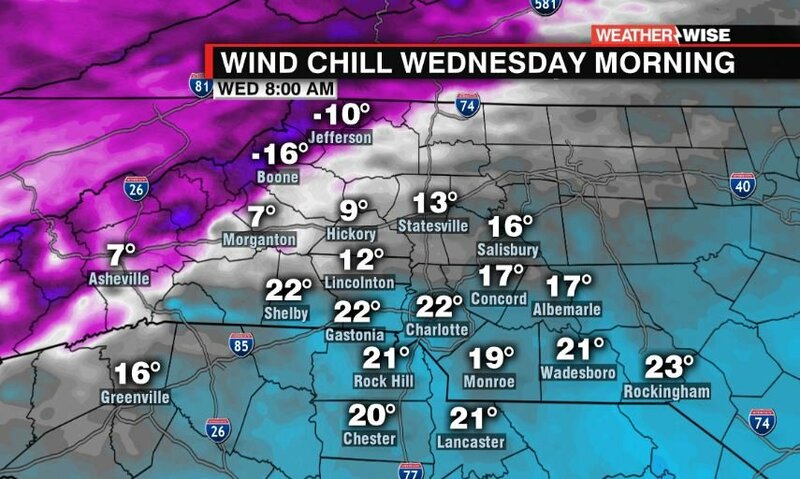 Lows will drop into the single digits with wind chill values dropping below zero. Dangerously cold wind chills will linger through Thursday morning. In addition to the cold, roadways will be slick from the snow, use caution.